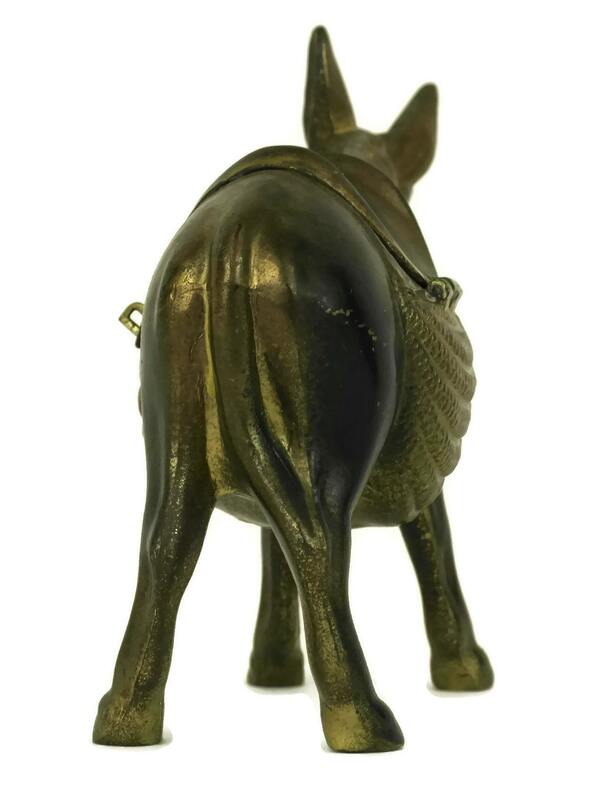 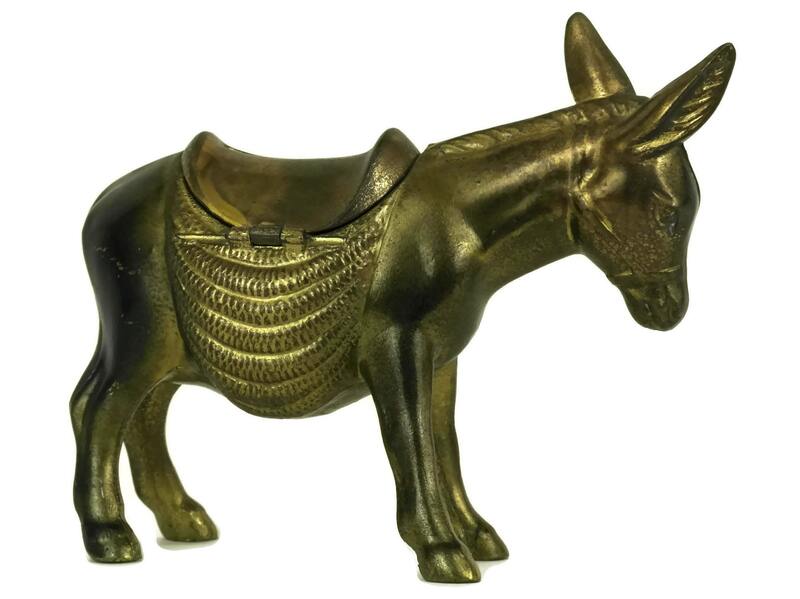 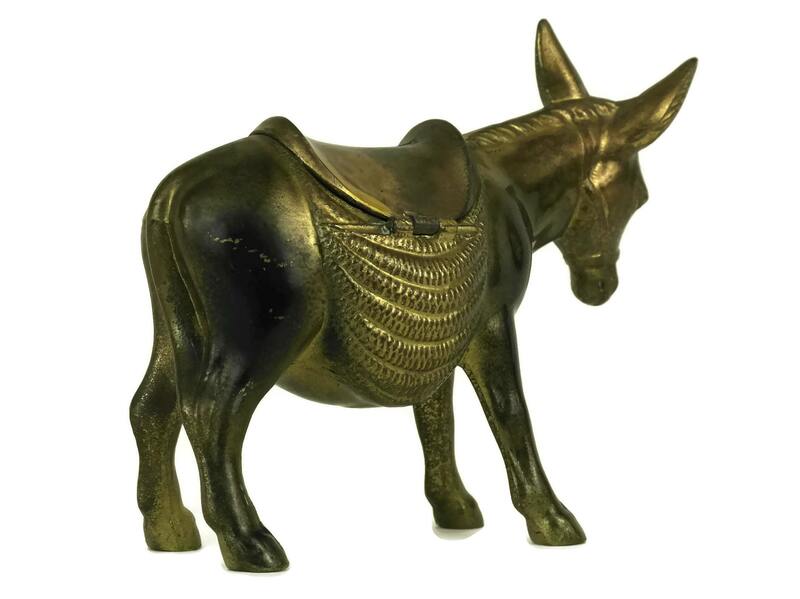 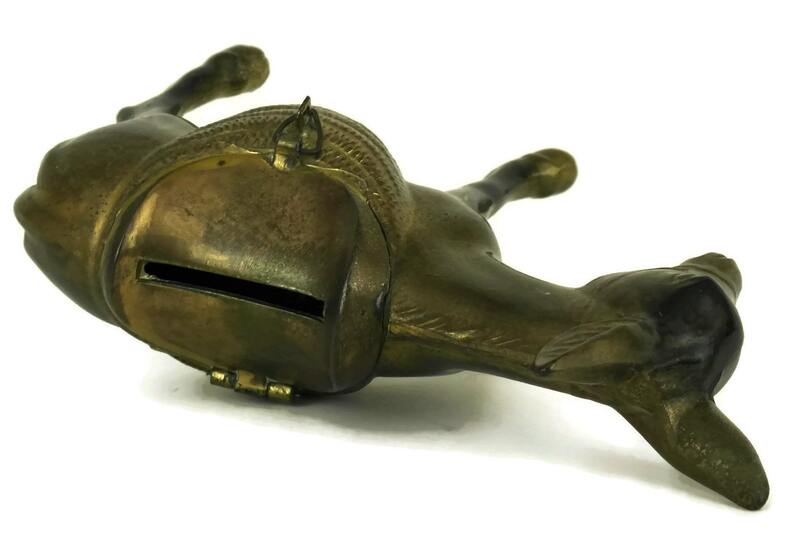 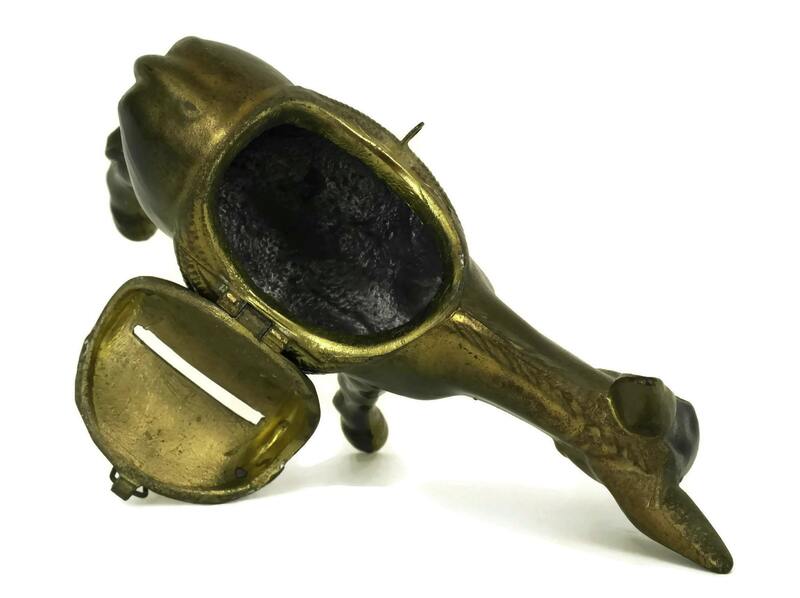 An adorable French antique donkey money box from the early 1900s. 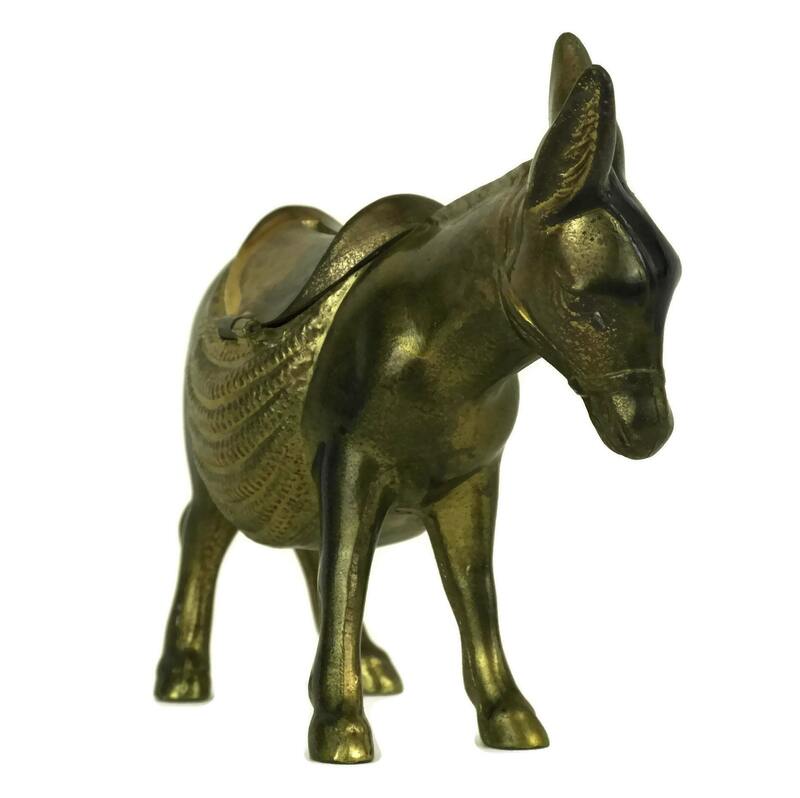 The coin bank has been cast from metal and decorated with a bronze patina. 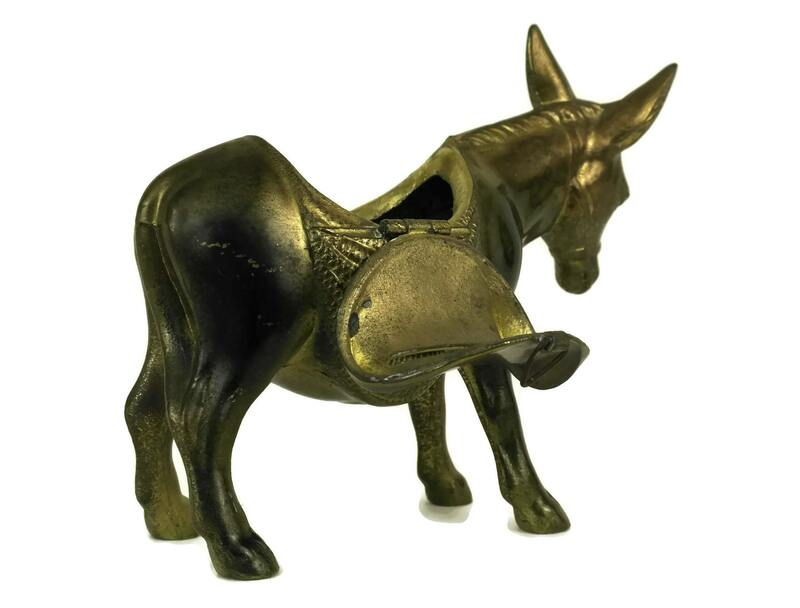 The animal figurine has a hinged lid with a coin slot and latch on the top. 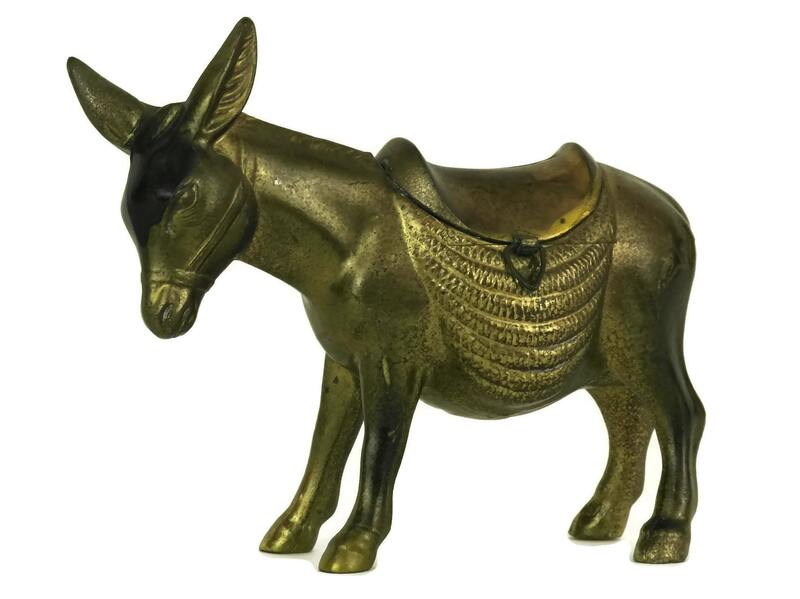 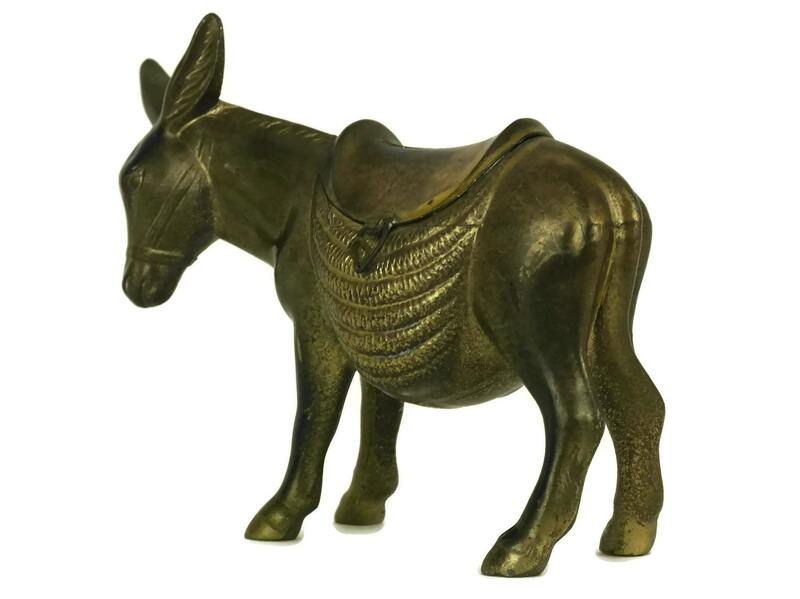 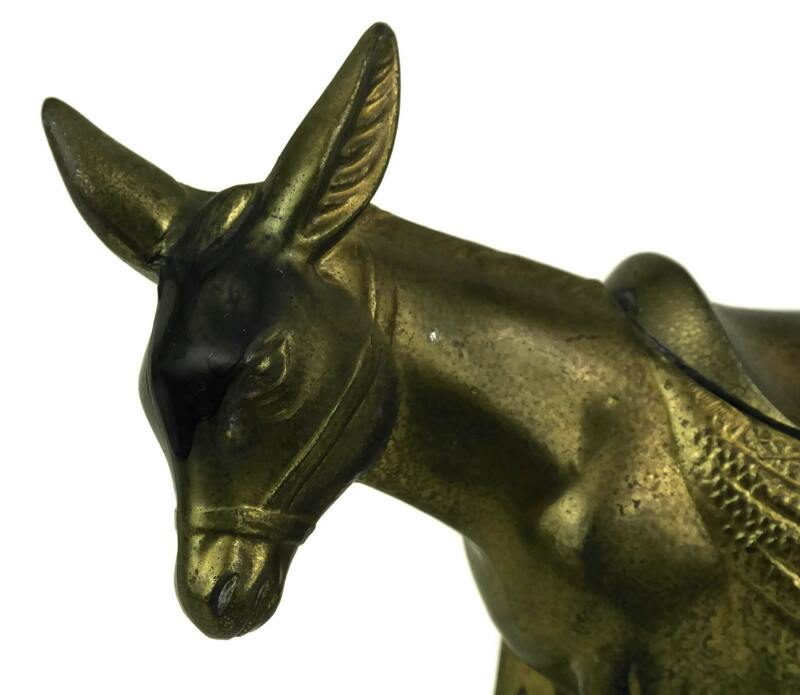 The donkey figurine penny bank is in good antique condition with some signs of age and wear including patina and surface marks to the metal.